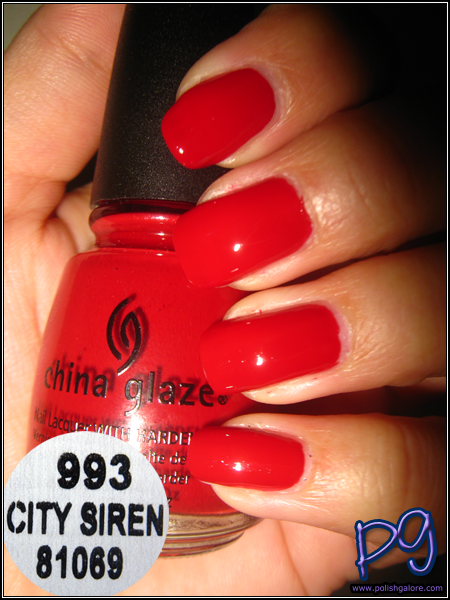 How many red cremes can a girl have? (Don't make me really answer that one.) 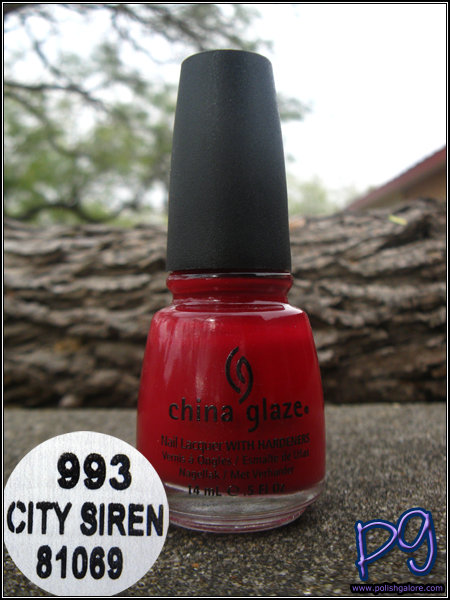 Pulling from the Fall 2011 Metro Collection, City Siren is deep red creme is pretty awesome. I used a base coat of Duri Rejuvacote, 1 coat of polish and I skipped a top coat because I loved the shine on this color. So the sun was hiding for the day, so here's a nice cloudy picture. Boo. But yes, look at the shine! Look at the opacity! Love love love! Here in the shade is also just really in your face. It's like "HELLO OUT THERE." Why did I wait so long to use this?! Finally indoors with the flash and you can barely tell where my nails end and my bottle begins, haha. Can't help it - I love this color and she's sticking around for a long time. The shine on this is crazy gorgeous! Wow, one coat and no top coat? That's amazing!